For more info, have a look at www.pledgemusic.com/projects/tonyharnell (We have 30 days left to reach our goal, otherwise all pledges are refunded.) You can pre-order the digital download for $8 or a signed CD for $12, and if some of the bigger incentives entice you, go for it...! Thanks as always for your support!! I did make a pledge - it took a while because there is a big disruption in credit card processing between U.S. and UK, several Asian countries and the State of Georgia within the U.S. due to widespread electronic fraud so many credit issuers are not allowing certain transactions. I hope this doesn't interfere with the pledge campaign. This will be the third artist for whom I've pledged in advance to finance the making of a new recording. I find the concept really cool. 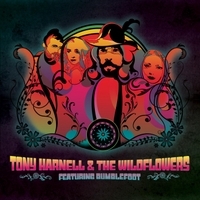 The first two I was already a fan and had previous recordings - The Wildflowers I wouldn't have heard of if not for Ron.